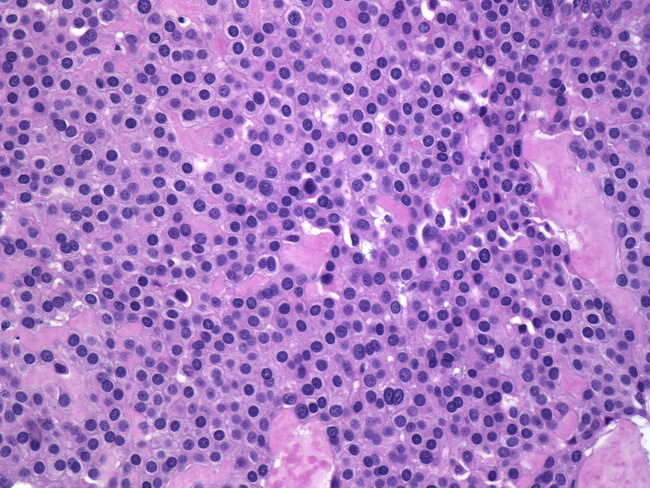 High-power view showing a sheet of uniform tumor cells with punched-out round nuclei. A delicate network of basement membrane material present between the cells highlights the cellular outlines. Treatment is by simple excision. Recurrences are seen in about 10% of cases.